Ducati has unveiled the more powerful version of the Panigale V4, in the form of the V4 R. The bike will be built in limited numbers as a homologation special so that Ducati can introduce it at next year’s World Superbike Championship (WSBK. While, the engine has been downsized to 998cc to comply with WSBK rules, power is now up from 214PS to 221PS. This can be further be boosted up to 234PS with an Akrapovic race exhaust system. We expect Ducati to bring the Panigale V4 R sometime next year at a hefty premium over the V4 S.
Ducati Panigale V4 prices start at Rs. 20.53 lakh (Ex-Showroom) and the top end variant Ducati Panigale V4 R is priced at Rs. 51.87 lakh (Ex-Showroom). Ducati Panigale V4 is available in 3 variants and 2 colours. Q. Which one is better Yamaha R1 or Ducati Panigale V4 in terms of performance, riding experience and safety features? Q. Difference in those variants std s and r? Q. Can it run on normal or extra premium petrol ? Q. Is the V4 a daily to use bike? It has a aggressive riding position which will cause back pain on daily commuting. Also, this bike is designed for track usage & is not fit for daily commuting. Ducati’s flagship superbike, the Panigale, has been revered and respected. With the new Panigale V4, Ducati feel it has the undisputed king of superbikes. Is it? 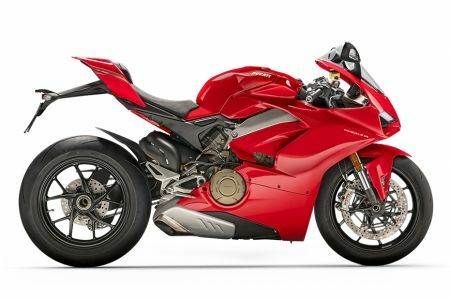 In 2018, one out of every four superbikes sold in the world was a Ducati Panigale.